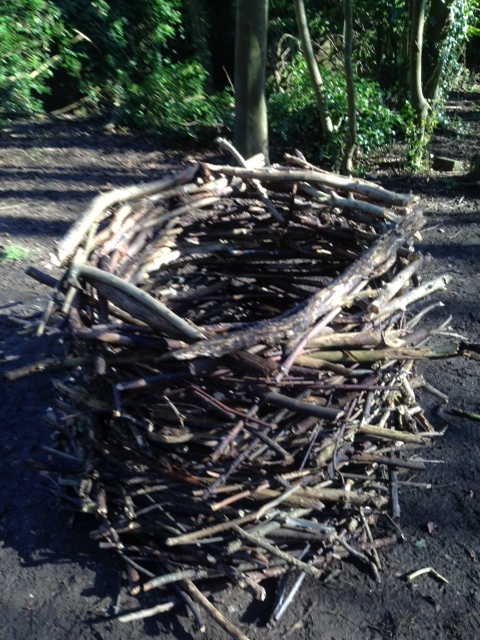 During the recent school half term holiday, the Copse was treated to Environmental Art in the style of Andy Goldworthy, by a father and his daughter. Artist Andy Goldworthy creates artwork in a natural landscape setting using natural materials. 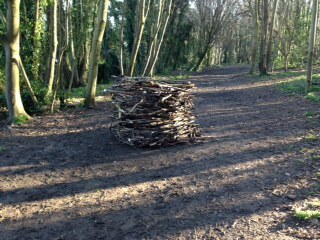 These are temporary landscape constructions of artwork-(further details on Andy's work can be seen on the internet). If you missed the artwork please enjoy the pictures above. Unfortunately, the Copse has suffered some more 'fly-tipping' where a few selfish residents have been using the Copse as a dumping ground for Green Garden Waste. Our Ranger has already attached a number of notices about 'anti-fly-tipping' and 'anti-graffiti' so there is a clear visual reminder of the problem. If you are aware of who is involved, please contact Brighton and Hove Council as there is a maximum fine of £5000 for those found guilty. We will be holding our AGM on Monday 20th April at 8.15pm at the Pavilion & Avenue Tennis Club on the Droveway. After many years of excellent service our Secretary, Morwenna, who will be retiring from the role. In order to make the role more manageable the job will be divided into three new roles:- (1) Minutes, (2) Membership (3) Website Liaison. Therefore if you are interested in helping with any of these positions or joining our friendly Committee, please come along or get in touch. The Friends Group will meet up again on Saturday 25th April 2015. The work day starts at 10.00am until 1.00pm, always gathering at the bench at the bottom of the green slope, just in front of the grove of Silver Birches. Planned Projects for Workdays include laying wood chippings, create habitat piles, remove wire (which formed the original boundary line), plant any remaining poppy and meadow mix seeds, plus clearance work on the lower twitten. In future, when funding allows, we hope to erect a new rustic bench near the top of the Copse following the popularity of the existing bench we installed. If you would like to help, please put the date in your diary. We hope to see you there.